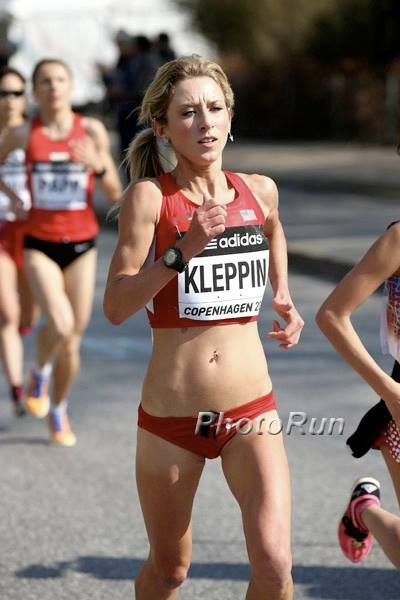 We recently came across an article on Competitor Running that featured some of the top American prospects for making the 2016 Olympic Marathon Team. And who should we see among the group, but Milwaukee native, Lauren Kleppin. It’s easy to see why she made the list – earlier this year, she shattered her old marathon PR by running 2:28:48 at the LA Marathon. We recently caught up with Lauren to chat training and racing and we have to say … we like her chances for making the team as well! This girl is on a roll and we can’t wait to see what the next few years hold for her. If you could run with anyone, who would you run with: I am a huge fan of Gordon Ramsay, the celebrity chef. I heard he ran the LA Marathon in 2012. If he were ever to try and run it again and shoot for perhaps an hour’s time improvement, I would be the huge dork jumping up and down with my arms raised in the air for the chance to pace him on some training runs and yell obscenities at him. I can only imagine what post-workout meals would be like! That is all I would need and want as payment in return for kicking his @$$ into shape and readying him for a successful marathon finish. Favorite workout: I like any workout that involves a long, sustained effort. Long runs, tempo runs and extended intervals are definitely my forte. The one workout that truly fulfills the unique but addicting “love/hate relationship” to its fullest potential (hate the nerves before the workout/love the high feeling once it is done), is a cross-country style 5k repeat workout. Over hill and dale and through the sands of a California desert, we run three to four repeats of 5ks. If I ever think I lack grit in a race, or in life, I remember the taste of that sand and the feeling of that workout. Pre-race routine: Pick out a cool pair of earrings for race day. Fasten all other body piercings securely. Shower. Lay out my early morning breakfast and racing clothes/shoes/bib. Review racecourse. Chug a Pedialyte. Try to sleep. Wake-up. Pee like a racehorse. Eat. Warm-up. Waste time till the starting gun. RUN! Favorite post-race treat: I can’t deny it. Around finish time on the race clock, it has probably been near 24+ hours since I have had a cold one… and at that point I don’t care if it is 5’clock anywhere. I want a beer. Sharing that beer with friendly competitors or friends/family that come out to cheer at a local restaurant over good conversation and food is the ultimate treat. Favorite distance to race: I love anything that lasts at least 13.1 miles. The 26.2 is my boyfriend though. (At least for the next couple of Olympic cycles.) I hope he treats me nice in the long run. I wouldn’t mind tattooing a couple of emblematic rings on my body if he fulfills all my hopes and dreams. 2012 Open Air Big Bear 50K: This was the beginning of my life in California. I literally showed up to the starting line after parking my Subaru packed full of all my belongings. I ran my first marathon (and then some) here, on brutal Big Bear trails, learned all about fuel belts, GU’s, salt sticks and fluids as I went along totally unprepared. It was not easy but I ended up finishing 3rd overall, and 1st Woman. This race was significant because above all else, the town and athletic community of Big Bear really accepted me with open arms and supported me, and I learned what a difference even one friendly person makes. After the race, I was stuck on the California Mountain life and I moved in. It was the beginning of a great California running adventure, of which I am still living, and learning. My first two marathons, the 2013 Tri-City Medical Center Carlsbad Marathon (2:42) and 2013 Cellcom Green Bay Marathon (2:47): Although I have since shattered these times, these races were memorable first steps into the marathoning world, and two first-place victories were definitely added bonuses. Carlsbad was a beautiful rolling course along the ocean that played to my strengths, and felt like a salute to my new California home. Green Bay was a great chance to reconnect with my family in Wisconsin, take a pilgrimage to Lambeau Field, and dream the whole 26.2 miles that some Packer would be there to greet and congratulate me at the end. No such luck, but I was still happy with family, beer and a photo opportunity with the Lombardi statue. 2014 Aramco Houston Half Marathon USA Championships, Runner-up (1:12:12): Although this technically was not a “win” with my 2nd place finish to Serena Burla, it was my first proud moment representing ASICS Mammoth Track Club. With a new three-minute personal best at the distance, and a ticket to represent Team USA in the World Half Championships, I made a MAMMOTH leap in my running career. This race propelled me forward to have a successful showing at the ASICS L.A. Marathon and the World Half Marathon Championships in Copenhagen, Denmark. With a solid season under my belt, and a solid confidence in my coach and my training, I hope to add to this list of “Significant Wins,” in the near future. I always enjoyed being active in the outdoors, and my best childhood memories include chasing my dad on the mountain bike trails at Lapham Peak, whitewater air-mattressing down the Wolf River (not recommended), and racing my brother up the rock wall at REI and Adventure Rock. Although I showed athleticism in these sorts of pursuits, team sports were never my thing. I wasn’t very coordinated, and I hated the fact that others suffered due to my unfortunate lack of ability to catch balls, or avoid them flying at my face (lots of bloody noses resulted). 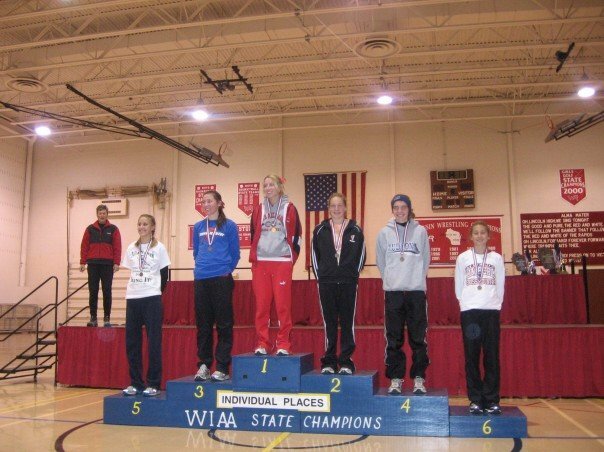 I had crazy amounts of energy though, and finally, in 8th grade, I found running. The wild child was finally able to run free in an organized school setting. Cross-country was my game. At what point did you decide to become a professional runner? Finishing up college, I just missed racing the 10,000 Meter Run in the 2012 Olympic Trials. They ran 24 women. I was the 25th qualifier. There is more to the story, but in the end, I figured out I had something left to prove. Luckily, upon graduating college, while watching the Trials from my television, I was still in Colorado. Here, almost everyone and their mother is, or was, or knows an athlete. I found myself in a place with much guidance and support that kept me motivated, and kept me running. It was a number of friends here in Colorado whose belief in me was worth more than they know. Some of those believers and friends introduced me to the world of road running that summer, and I quickly fell in love with traveling all around the country, meeting new people in the sport, while stealing victories and some notoriety. My wild child was reawakened. I was having fun. 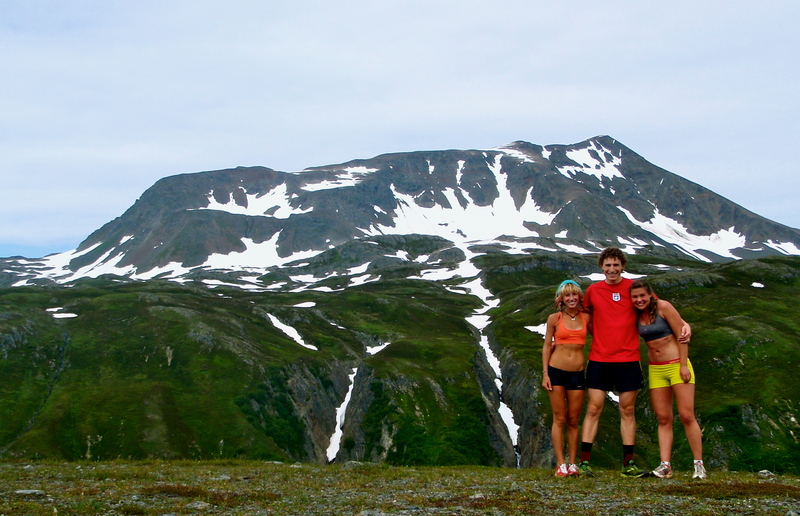 All the wildness of the summer eventually led me to Alaska. Here, I re-acquainted with an old college friend who was training at the time to be a Bi-athlete and her mother, a gold medalist in the ’84 Olympics for Air Rifle. It was up north in the Alaskan wilderness that I could finally quiet down all the chatter of the outside world… “GROW UP”… “GET A REAL JOB”… to tune into what was going to keep my fire fueled, and that was committing to the life of a serious professional athlete. I had to see the opportunity and grab it quick like a salmon out of water. I immediately moved to California afterward to train and chase my professional running dream. What prompted you to move up to the marathon distance? A lot of people wait for the right moment to undertake it. I was just bored when I finally decided to do it. Since then, I have gained a more solid respect for the distance. I range between 85-115 miles on an average week… I’ve got a Sunday long run, a Tuesday speed session (usually repeats of 800-1600 meters), and a Friday tempo run, with easy volume the rest of the week. Other important factors in my training regimen include a focus on sleep, nutrition, massage, ice baths, stretching and light weight sessions at the gym twice a week. Nothing in my training is too crazy or out of the ordinary, but I make sure to practice everything with consistency and purpose to the best of my ability, and that seems to yield steady progress and results. What it’s like to train with the ASICS Mammoth Track Club? I am reminded everyday how lucky I am to have found a place where I have both a high level of support and a high level of inspiration around me. The Kastors are incredibly dedicated and the work they put into the group alone drives everything within me to succeed in return for them. The team they have built contains individuals with the same sort of passion and purpose, and it is great to be able to be a part of their momentum. Working with ASICS has also been a fun and positive experience this past year. It is definitely a dream come true and an honor to be part of a group that has such a rich history of success – one that will continue to make strides and break barriers in the future. I wear that ASICS Mammoth Track Club logo with pride, (even while riding around town in that 16 passenger white creeper van). You shaved more than 13 minutes off your marathon personal best at this year’s LA Marathon for a 2:28:48 finish. Can you tell us a bit about the race – your training leading up to it, how the race felt and your thoughts after crossing the finish line as the 3rd female? Training was going extremely well this winter as I was gearing up for the Houston USA Half Championships. Coach Andrew actually pulled my teammate, Gabe, and I aside to suggest the ASICS L.A. Marathon in wake of spring. I hardly hesitated. I was excited about the idea for many reasons including Los Angeles’ Olympic Trials bid, easy travel for me, and my love for Los Angeles and the friendships I have made in Southern California. In addition, my coach is very much involved with the race through his job with the L.A. Roadrunners. I knew I had the best coach in the business to prepare me for the race, and my training going into that race was filled with trust. As mentioned before, my race in Houston went fantastic, better than expected. I went into Los Angeles with a new confidence, but a steady goal. All I wanted, and needed was my A standard qualifier, a 2:37 marathon. There was a strange moment during that race in which I started to fall back behind the Ethiopian women leading the charge. I was still on pace to run okay and get the standard, but from the streets, I heard a random cheer, “Go USA.” All of a sudden I was inspired to fight for more than just me, but for the respect of our sport in the country. I wanted Los Angeles to be excited for 2016 when they welcome a whole mass of us weird runners to their streets, as we vie for a spot on the Olympic Team and a USA jersey. I dug deep for every morsel of confidence and grit I could find in my brain. I thought about the strength of my teammates and what I had gained from them, the courage of leaders like Deena Kastor who I have been lucky to share time with, the dedication of my coach, and my family back home that always shows love and support, but must wonder what the hell I am running away from all the time. I took everything I had and made the surge. Once I was with the lead pack again, it was a whole new race, and game on. Crossing the line to see 2:28:48 on the clock, being wrapped by the American flag as the first American finisher, being greeted by a happy coach and teammates, and news reporters, and cameras, and drug testers… it was all more than I had imagined possible at the finish… but I also knew this was just the start of something new. Races like my experience in Los Angeles, in which everything comes together and dreams become possible only happen on rare occasions. It is a race I will remember forever as I keep running happily forward to another finish line. Can you talk a bit about the mental game during a race – how do you get through the rough patches? Preparation. Whether it is in life or it’s in training. I take experiences, lessons, memories, and moments, and keep them in my arsenal for race day. Specifically, I recall a moment in my whitewater raft guide days, in which I was guiding customers down a Class IV rapid. A couple days prior to this moment, I had fallen down on a trail run, split the skin on my knee all the way past adipose tissue and to the bone, but had to run the 8 miles back to the car with blood trailing down my leg, probably luring mountain lions the whole way. The clumsy accident resulted in stitches, but I couldn’t afford to miss out on work, so I waterproofed it best and kept on rafting. In the height of the rapid, and with a major twist of my body to crank my raft in the proper position and get us all safely through, I tore open two stitches. We got through the rapid. CELEBRATION! But then we still had about three miles of river to float. It was the ugliest thing I can recall, that mangled knee… but that image is still the most beautiful proof I have about the power of the mind and body. It is in my arsenal. You’re a strong contender to make the 2016 Olympic Marathon Team – what will your training and racing look like for the remainder of this year and 2015? Thank you. Luckily I have a coach who has those details more finely tuned and planned out than I can rehearse back to you. Planning was never my strong suite. In my mind, from here on out, everything is in preparation to have a solid showing on February 13th, 2016. I want to compete in races that challenge me in every way possible. I want to race the best athletes possible. I want my training to reach new heights in volume and intensity. I want to test the limits of my body, and I want my body to be the strongest and healthiest machine I can rely on. I want to win and I want to fail, but mostly I want to know I am doing my best. Right now, I am on a good road, but to keep accelerating smoothly with the speed of my growing expectations requires smart planning and smart choices. I am very thankful to have a support team here with the ASICS Mammoth Track Club to help me make those critical moves with 2016 in mind. Are there any other running goals that you’re looking to tackle during the next few years? The main goal of course, is getting to the line of the Olympic Marathon Trials healthy, fit and ready for battle. Leading up to that, I would like to make and compete on another USA team. My experience in Copenhagen for the World Half Championships was incredible and inspiring. I would also like to win a National Championship title on the road racing circuit. There is a deep field of talent at all of these races, and it would be amazing to win one. Other than that, I am curious to test myself on the track and on a cross-country course again, too, when the time is right. Who do you look up to in running? Any role models? This past year, I have been incredibly impressed with Meb. Although his performance and win in Boston was amazing and will live on in history, it is the little things that make an impression on me that stand out and make him a role model and leader in our sport. I remember walking into the drug-testing room after the USA Half Championships in Houston, and to my surprise, I, for the first time was standing in front of Meb. The MEB. This time he wasn’t on my TV – this was my reality. He greeted me “Hello Lauren…” and immediately made conversation about Mammoth Lakes and training. He was just so incredibly cool and aware of the people around him, taking time to acknowledge everyone. I witnessed him again being open and kind to fans and fellow competitors at the Bix 7. In the warm up area before the race, one man held a five-minute conversation with him before realizing and exclaiming in delight, “Wait a second, are you Meb! ?” I stifled a laugh, listening to the whole exchange while tying my racing flats. I think Meb utilizes the platform his success has given him to spread an example of graciousness, kindness and humbleness, and those are characteristics that every human can aspire to, no matter their calling in life. Where are your favorite places to run when you visit Milwaukee? Grant Park is definitely one of my favorite places to train, and it brings back great memories from my high school years. The Oak Leaf Trail is a great resource in Milwaukee. I can get in a lot of miles, enjoy views of Lake Michigan, and even invite a friend along to bike alongside. In the winter, the Pettit Center is a gem! I love going there to train because there is always good company (probably a happy reunion with someone I wasn’t expecting to see), and it is a chance to shed some winter layers and run a bit faster than I can on snow and ice. I miss Milwaukee. I appreciate Milwaukee. I really hope Milwaukee gets a major marathon going, and I totally support that initiative. I am always looking for excuses to compete and come back home, so I am rooting for good news and progress. My last trip home, I stumbled upon the Turner Hall rock climbing gym. It was the highlight of my trip. I love the laid-back atmosphere, and if I were still in Milwaukee it would be my gym of choice. I believe in keeping working out fun, and this gym totally supports that vibe with lengths of walls, nooks, crannies and rocks to climb and explore. They have core classes and yoga, too. If you haven’t checked it out, do it! This entry was posted in MKE Runners and tagged Lauren Kleppin, MKE Runners, Running in MKE. Bookmark the permalink.